The Wine Market Council finds that wine drinking has expanded to more venues. Not just for fancy restaurants. Wine drinkers are finding more occasions suitable for consuming wine, including less traditional venues like ball games or concerts. That said, restaurant patronage has increased since the downturn in the 2008–2009 recession, and wine consumption at expensive restaurants has rebounded along with that. 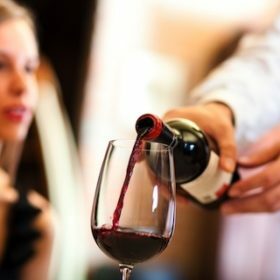 An increase in wine consumption at casual chain restaurants, including quick service restaurants, also was observed. Millennials are driving wine increase. While Boomers remain the solid base of wine consumers, Millennials are providing growth in the category. However, drinking behaviors differ among younger Millennials, aged 21–26 (28% of this segment reported drinking wine daily), compared older Millennials, aged 27–36 (19% of this group reported drinking wine daily). Overall, this generation of wine consumers drinks more than their fair share of wine compared to other generations, the WMC reported. They also consume more wine per occasion and are more apt than other generations to report increased consumption compared to a few years ago. Impact of changing demographics. Wine drinkers in the U.S. are consistently becoming more diverse, with higher rates of African American, Asian American, and Hispanic representation, according to the Wine Market Council. Wine marketers were advised to pay closer attention to the fast-growing Hispanic/Latino demographic, which has been more likely to consume beer or spirits, rather than wine. Beer boom. Also of note, Brager emphasized that “beer is back,” driven by factors such as growing enthusiasm for craft beer, new beer brands, increased variety in the form of seasonal packs and flavored beers, and novel packaging. He also noted a surge in hard cider sales. Wine by the glass. This was the first year the study included statistics on bottle vs. by-the-glass consumption. According to the study, the majority of wine drinkers order wine by the glass when they dine at any type of restaurant. Less than half order wine by the bottle, even at an expensive, white tablecloth restaurant. By-the-glass rates are higher for women, while by-the-bottle rates are higher for men. Mad for Merlot: Merlot topped the list of red varietals respondents currently drink (61%), the WMC reported, followed by Cabernet Sauvignon (52%). Forming a second tier of red wines were Pinot Noir (42%) and red Zinfandel (34%). Regarding varietal preferences across generations, Cabernet and Zinfandel are most popular among Generation X, while Malbec is consumed by a greater proportion of Millennial wine drinkers.